It starts with distorted chords. A rocky start to the open road in front of him, and a troublemaking kid not yet ready for what the future held. It starts with failure and that’s perhaps when Akira Tozawa started picking up the most important lesson of all, and the most important part of his persona throughout the years: even when you’re beaten down, even when you’re battered and bruised and ridiculed, you get back up. here’s always something better waiting behind the next door, and you’ll never know if you don’t try to open it. So it starts with distorted chords, like a punk song on an old cassette tape, and Tozawa plays all the instruments. Perky cram school student who can’t seem to find his place, walking fat joke that never lands, brash youngster who bites off more than he can chew. Lose it all, start again. Beginnings are never easy, and it take time to find the right notes, even more for the fine tuning. Tozawa’s early days in Dragon Gate are experimental to say the least. 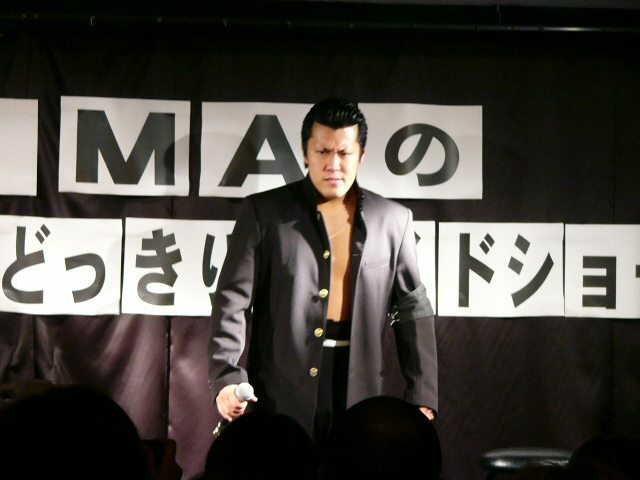 A troublemaker backstage, he’s quickly sent back to the dojo after debuting, and when he returns, it’s to form a cram school-themed unit named Tozawa-juku. Joined by a mismatched band of misfits including Ken’ichiro Arai, Taku Iwasa, and even at some point, El Generico, Tozawa is hardly the star in his own unit, and eventually takes a dangerous turn when he starts to mimic stablemate’s Yuki Ono’s massive weight gain, forming a rather tasteless tag team with him called the Metabolic Brothers. 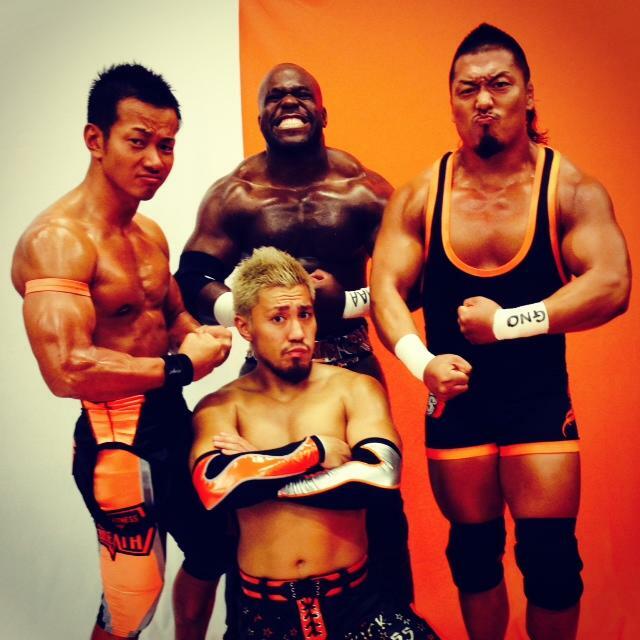 The duo bombs, obviously, and Tozawa eventually goes back to school. Tozawa-juku disbands after a gutsy but failed challenge for the Open the Triangle Gate championships, and Tozawa finds a new unit in Kamikaze, though again, he’s at the bottom of the ladder, helplessly looking up. The verses are flavored with Californian pop music. 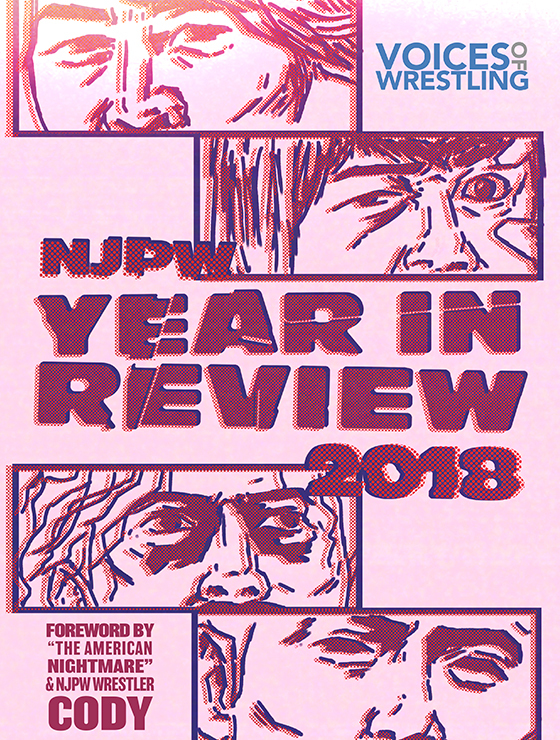 Five years in the making, Tozawa travels to the United States, learns new tricks and new beats, battles a hero, and changes the course of his own destiny. He’s not the in backing band anymore. People are starting to notice, and as they learn his name, he learns how to play a different melody. Partnerships with local stars get him further than he ever got on his own, and when he reunites with Dragon Gate, first on American soil and then in Japan, he’s a changed man. He keeps strong ties to the US, friends and a dream that never leaves him. Excursions are always a good way to hone your skills and find yourself, and those words ring true as ever when talking about Tozawa’s North American excursion in 2010. Whether it was in Dragon Gate USA, CHIKARA, or Pro Wrestling Guerilla, Tozawa finds many proving grounds in the US, each time facing new challenges that often tested him, and sometimes, humble him. 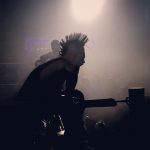 One such challenge takes place at PWG’s annual Battle of Los Angeles tournament on September 6, 2010. There, Tozawa faces one of the pillars of the North American indie scene, a man revered by many as one of the very best wrestlers in the world: Chris Hero. The encounter is believed by many to have been a turning point in Tozawa’s career, and remains one of his must-see matches years later. It’s a heated battle, and through the cracks in a young man who hasn’t yet become everything he can be, brilliance comes out. Some of the best songs come to us in our dreams. 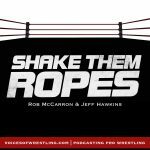 The chorus is chaotic, heavy and bold, and Tozawa returns to Japan with newfound confidence and the attitude to match. He’s black and blue, out for blood, and not willing to settle anymore. The trust that was put in him is honored, defended, and he moves forward, always forward, never looking back. Victories over people who could have crushed him before, a reestablished sense of belonging that pushes him to work harder, and it shows. Among a roster of strong personalities, of princes, champions, and killer queens, Tozawa’s melody goes crescendo, until he’s finally allowed to take the reins. Blood Warriors is a transitional time in Tozawa’s career. He’s not the leader of the group, but firmy its breakout star, picking up up a clean win over Shingo Takagi at Kobe World 2011 and establishing the new and improved version of himself further later that year when he and BxB Hulk win the Summer Adventure Tag League. At Final Gate in December 2011, Tozawa and Hulk stand tall as the Twin Gate champions, among a seemingly invincible unit that holds all the gold. And then, everything’s painted black and yellow. The tempo is erratic and everything spirals out of control, until finally, the sun rises. In January 2012, Tozawa kicks CIMA out of Blood Warriors and assumes leadership of the stable, which he renames Mad Blankey. His time in the unit isn’t exactly memorable by any means, as most of their glory came after he was unceremoniously kicked out. However, if Mad Blankey knew their finest hour under the leadership of someone else, the shift could not have come at a better time for Tozawa. After two years of violence and deceit, Tozawa found a new direction alongside his best friends, Uhaa Nation and Ricochet, as well as Shingo Takagi, Masato Yoshino and Sachihoko BOY, coming together under the banner of a new stable named Monster Express. And it’s among friends that Tozawa completes his transformation. The bridge takes us to atmospheric heights. Tozawa becomes a good guy again, the melody picks up and the road ahead looks endless. New teammates, new challenges, new opportunities, and Tozawa is ready for everything. His first singles title win in Dragon Gate is big but bittersweet, and the next day he bids farewell to his best friend, shoulders a new legacy. He carries it with pride, creates a brave new world for himself to live and thrive in. 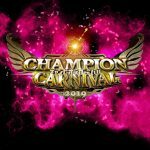 After many failed challenges over the years, singles success finally comes to Tozawa on February 28, 2015, when he defeats Kzy to claim the Open the Brave Gate championship. It’s emotional for everyone, as the title carries a proud legacy that now rests on the shoulders of a man who truly showed he has what it takes to carry it. In many ways the perfect choice to hold that title in a time where the promotion was developing a new generation of brave warriors, Tozawa would hold it with pride until November, dropping it to Kotoka at Gate of Destiny on November 1, 2015 (a show best remembered for the incredible showdown between Shingo Takagi and Masaaki Mochizuki). Kotoka would be the first in a new, younger Brave Gate lineage (which has now grown to include Yosuke Santa Maria and Eita), and Tozawa moved on to an impressive Triangle Gate reign alongside Monster Express stablemates T-Hawk and Masato Yoshino. The trio would hold the belts from December 2015 to September 2016, the second longest reign in the titles’ history. At the same time, Akira Tozawa was putting down the first notes of a new song. 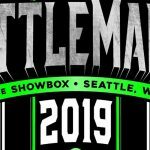 When global wrestling mogul WWE announced that they were holding a cruiserweight tournament featuring performers from all over the world, many fans held their breath in anticipation to know if one of their indie favorites had made the cut. The WWE Cruiserweight Classic, as it would come to be named, promised to showcase many different styles from many different places, and it wouldn’t be too far-fetched to think that Tozawa jumped at the occasion to represent Dragon Gate in the star-studded showcase. 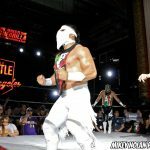 After all, his dreams of global success never left him, and when he’s officially announced for the WWE Cruiserweight Classic, many know that it means he’s nearing the end of his run in Dragon Gate. Though he’s eliminated in the quarterfinals by eventual finalist Gran Metalik, Tozawa makes an impression, and is eventually confirmed as part of the brand new WWE Cruiserweight division. On September 22, Tozawa challenges YAMATO for the Open the Dream Gate championship, in what is likely to be his last Dragon Gate match. He won’t win, but he’ll put up a hell of a fight and certainly go out in style, as should be. In the end, though he’ll always be considered one of the “Big Six” of the promotion (alongside YAMATO, Shingo Takagi, BxB Hulk, Naruki Doi and Masato Yoshino), Tozawa will be the only one to have never won the coveted top title. But that doesn’t mean his impact on Dragon Gate will be lessened in any way when he leaves. Through his energetic performances, his versatile style, and his indomitable spirit, he’ll have paved the way for the generation that comes after, just as much as his own generational peers have. And that’s perhaps the greatest achievement of all. 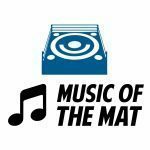 If pro wrestling is a music book, with different styles and different tunes, Akira Tozawa is a rock opera. Often considered one of the most complete wrestlers in Dragon Gate, it’s equal parts amusing and inspiring to look at him now and think of his early missteps. He illuminates every ring he steps in, and his story both inside and outside of the squared circle is one of learning and growing and changing for the better. Whether it’s his dynamic wrestling style, his comedic personality, or his never say die attitude, Tozawa is a larger than life presence that leaves crowds in awe, leaves them wanting more, chanting for the encore. Now that he takes the next step in his career, ready to take over the world, it’s difficult to predict what the next part will sound like. If one thing is certain, it’s that his song will always be sung by the people that he’s played it for. 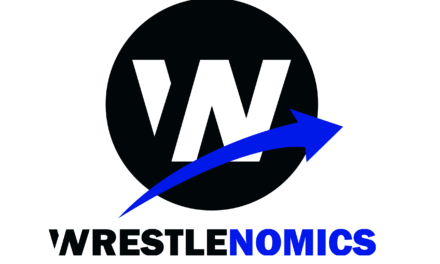 Wrestlenomics Radio: Brock Lesnar no-shows, Fox Sports & WWE, more!